I always love my snacks, but I thought the assortment this week was particularly good! 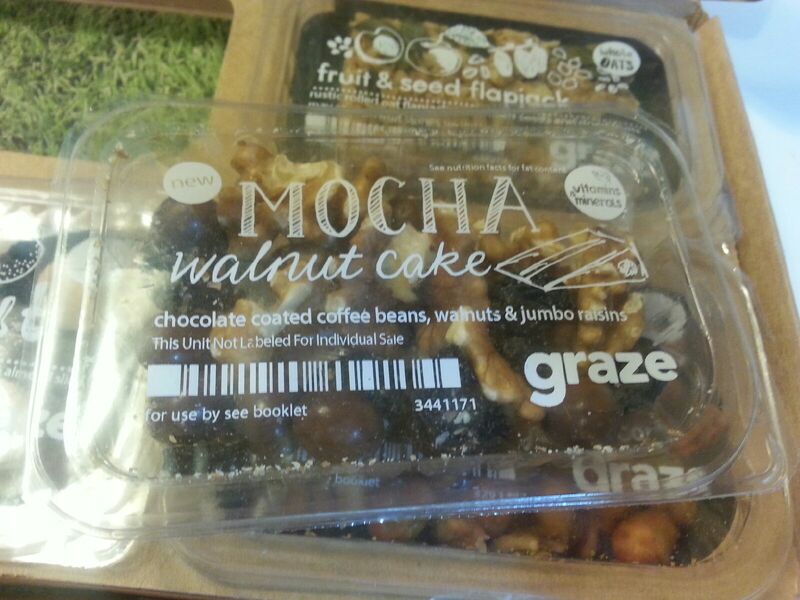 I am most excited for the Mocha Walnut Cake! 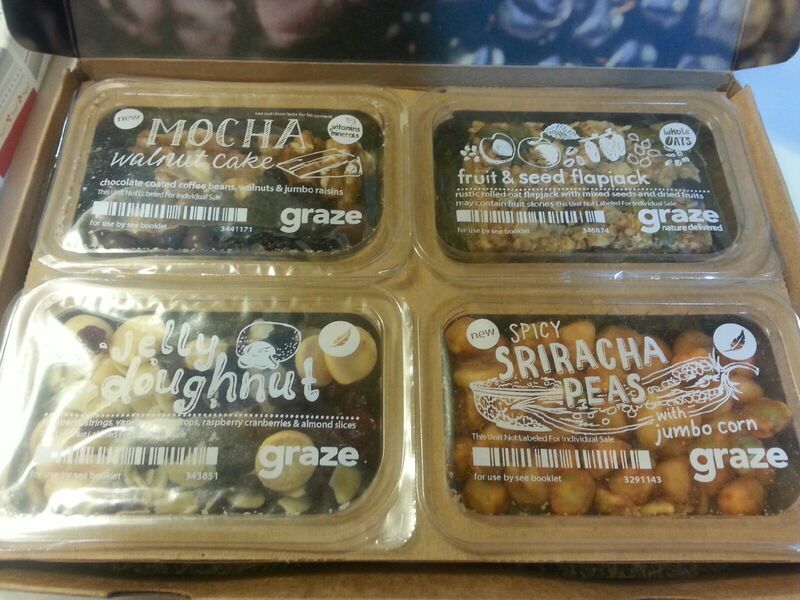 What I love most about Graze – the snacks are tasty and pretty healthy. I don’t have to think ahead about snacks to pack in my lunches because I get 4 snacks per week. Shipping is fast and they always charge on the same day. Calorie counts are always listed in the box and everything is super fresh. What I don’t like – They have raised the price a couple of times. I use to get the boxes for $5. So, as they raise the prices, the box becomes less appealing. At the current price, I still love it, but I don’t think I’d love it if it is raised again. The snacks aren’t quite as tasty as Nibblr, but they are much healthier! 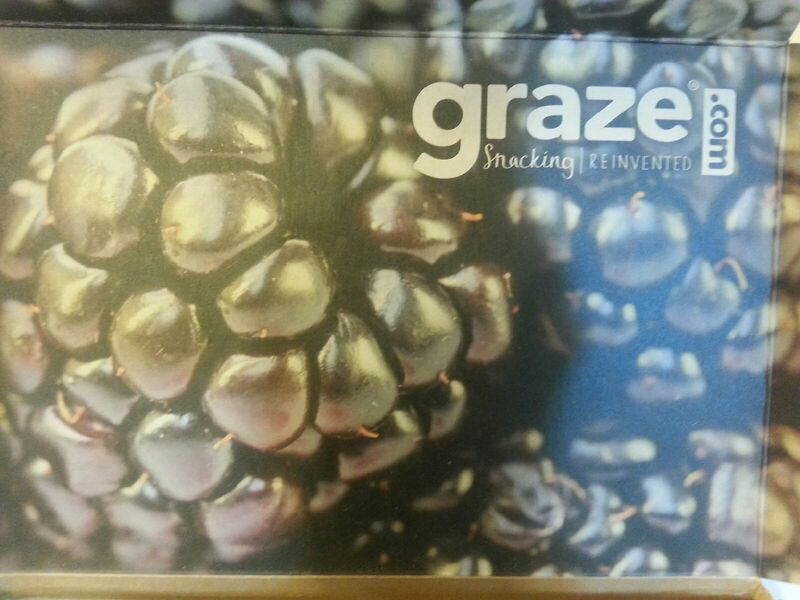 Overall~ If you love to snack as I do, subscribe to Graze, or at least try out the first free box. I love snacking, so this sub is a no-brainer for me. I’ve been getting the snacks for over a year now and I still think they are fantastic! disclaimer: this post contains a referral code, but I paid for this box myself!